Have you ever wanted to try something new but were too afraid to start for fear of failing? Yes, I think we’ve all had those moments. But by starting to write again I’ve been reminded that the hardest part of succeeding is taking the first step. After that a whole new world opens up and that nasty fear gets swallowed up. So here, in this blog, I’m creating a little place to share my heart when inspiration strikes. I hope it makes you laugh, smile, and gives you a moment to breathe. This first entry is dedicated to all my mommy friends. Let me start by catching you up on my current situation. As of a few months ago, our family of four has, well, grown. We have become part of an organization called SafeFamlies. As part of SafeFamlies we open our home to kids who are in need of emergency fostering. These kids may be with us for a few days, a few weeks, or a few months while their caregivers get their lives in order. For the past few months we’ve had one-year-old twins in and out of our home. Yup! You heard that right. Two one-year-olds. Like, at the same time. And yes, we are still alive. In fact, these babies have rocked our world . . . for the better. Since they have come into our lives I’ve learned a few things about myself: 1. Because my kids are teenagers, I no longer have baby muscles; 2. Taking a shower and getting dressed by yourself should never be taken for granted and 3. I’m really glad car seats are super-duper safe but good grief they should offer some kind of installment service with those things. As mentioned above I have learned a lot lately but here are the TOP 10. Actually, nobody has time for 10, let’s just do 5. Better yet, 4 sounds perfect. I learned this lesson quickly. I mean seriously. With small children around, this is not the time to be doddling around in my head. These kids want things. Like constantly. Food. Drink. Diaper changes. Naps. Playtime. Snacks. It’s a never-ending to-do list. And if constantly feeding them isn’t enough, they also need a clean highchair to sit in. And when I say clean, I mean no meatballs or chewed graham crackers sticking to their seat. If you don’t focus they will run you over; I’m talking flat on your back with little baby footprints all over you. So focus. Stay in the game and look alive. There will be time to doddle in your head later, like naptime and bedtime. 3. Your new favorite word is HELP! Ok, so if you are single mom here is a well-earned standing ovation!!! GOOD GRAVY woman, you are my hero! You are doing it alone and that is deserving of all the applause the internet can muster. But whether single or married we all need to agree none of us is getting out of this alive if we don’t admit we need each other. I’m sure you’ve heard the saying, “it takes a village to raise a child.” Well that saying is packed with truth. It takes many pairs of hands to get the job done. But those hands, that village, has no idea you need them until you say “Hey, I’m drowning over here. Can you please–fill in the blank.” Can you and the kids come over for a playdate? Or, I’m throwing up can you get me some Pedialyte? . . . sad but true story. Don’t feel bad, and don’t be embarrassed that you need help. We ALL do. 2. Can we talk fashion? First and foremost, let’s all give thanks that the “messy bun” is in style. Unfortunately, wrinkled clothes that don’t even match is not. All I have to say is that if you manage to get out of the house feeling good about what you’re wearing and how the kids look, then girlfriend I applaud you. For the sake of transparency, here is photo proof of fashion mayhem. This is what happens when you make the mistake of thinking there will be time to change out of the clothes you slapped on because the babies spit up all over you. There wasn’t time. I went out like this. I know what you’re thinking. I look like a Duggar. Jenna, Jill, Jessa . . . I’m your long lost Peruvian sister. I’m not talking coffee. Actually, let’s not dismiss caffeine. It has it’s place. But for now, I’m talking about Jesus. This new season of little ones–actually all the seasons of life–are going to need some amazing grace. The thing is, there really is no magic season where time to spend with God and His word just appears. Time is always in short supply. When the kids are little you’re busy catering to their needs. When they go to school the time you thought you’d have gets consumed by a thousand tasks and the new interests you’ve taken on. For me, finding time with God is different every day. 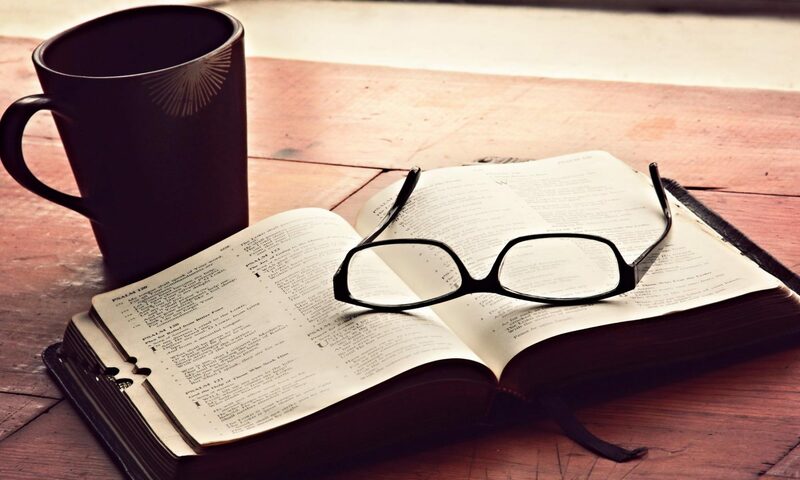 If I am able to wake up before everyone else, then the morning is where I find time to read my bible or a devotional. Sometimes I put in my ear buds and listen to a message or sermon while I go about my daily routine. Sometimes I devote precious naptime and bedtime to my even more precious relationship with God. Often I simply meditate on God’s word and promises as I do dishes, or laundry or wait in line at Target. God always takes the time I give and multiplies it. Which is great because did I mention I now have twin one-year-olds in my home? Let me tell you a story about a few lucky ducks. 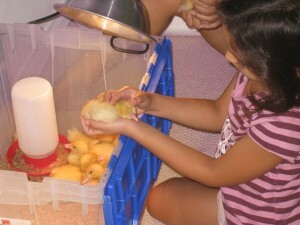 Last summer my kids decided once again that we should hatch duck eggs. We had been hatching eggs for the past three summers or so but this time around there was an added tension. This year was the first year we had… a dog! Now this dog came out of nowhere, literally. He was found roaming the streets and while his unexpected arrival had brought many new dimensions to our undogged life, the one thing we were hoping not to change, was the summer hatching. So we built a fence. A sturdy one at that. We prayed. We researched dogs and ducks. We prayed. We hoped. And in a few weeks they arrived. I love that picture. That’s my Isabelle holding her beloved ducks. It’s hard to explain how much my daughter loves her ducks, except to say… well just look at the picture again. It is worth ten thousand words. For a while everything was fine. The dog and the duckies were cohabiting peacefully outside and it seemed like the precaution of the fence plus all our prayers was exactly what was needed to prevent disaster. I remember so clearly that night when Isabelle’s panicked shrills turned my body cold as I raced down the stairs to the backyard where she was. There she stood screaming in the yard in the middle of what we had feared. I rushed her crying little body inside the house, leaving behind 6 dead ducklings. The dog had jumped the fence and in attempt to play with them, went too far and killed them. God had spared six of the duckies and from then on they were called the “lucky ducks.” But that night, my daughter for the first time, felt the deep sting of losing something she had loved so very much. And it hurt. That night when we prayed I promised her that one day, God in time would heal her hurt and one day it wouldn’t hurt as bad as it did that night. ~To bestow on them a crown of beauty instead of ashes, the oil of joy instead of mourning, and a garment of praise instead of a spirit of despair. And with a smile on her face that lit up that summer night, she rode off. God can work a miracle in our hearts. I don’t know how he does it. How he makes this great exchange of mourning to joy, despair to praise but He does. And I guess if we could figure that out, it wouldn’t be so miraculous. And because Isabelle experienced this clearing of pain for herself, the truth in those verses are real to her. And they are to me too. For those who are “waiting on God” read this devotional by Oswald Chambers, take your time reading it for it is full of wisdom and inspiration. Take in every word. It may seem an easy thing to wait, but it is one of the postures which a Christian soldier learns not without years of teaching. Marching and quick-marching are much easier to God’s warriors than standing still. There are hours of perplexity when the most willing spirit, anxiously desirous to serve the Lord, knows not what part to take. Then what shall it do? Fly back in cowardice, turn to the right hand in fear, or rush forward in presumption? No, but simply wait. Wait in prayer, however. Call upon God, and spread the case before him; tell him your difficulty, and plead his promise of aid. In dilemmas between one duty and another, it is sweet to be humble as a child, and wait with simplicity of soul upon the Lord. It is sure to be well with us when we feel and know our own folly, and are heartily willing to be guided by the will of God. But wait in faith. Express your unstaggering confidence in him; for unfaithful, untrusting waiting, is but an insult to the Lord.Believe that if he keep you tarrying even till midnight, yet he will come at the right time; the vision shall come and shall not tarry. Wait in quiet patience, not rebelling because you are under the affliction, but blessing your God for it. Never murmur against the second cause, as the children of Israel did against Moses; never wish you could go back to the world again, but accept the case as it is, and put it as it stands, simply and with your whole heart, without any self-will, into the hand of your covenant God, saying, “Now, Lord, not my will, but thine be done. I know not what to do; I am brought to extremities, but I will wait until thou shalt cleave the floods, or drive back my foes. I will wait, if thou keep me many a day, for my heart is fixed upon thee alone, O God, and my spirit waiteth for thee in the full conviction that thou wilt yet be my joy and my salvation, my refuge and my strong tower. Where Is The Golden ticket? “So how did Chuck E Cheese with Grandma go? What did you end up buying with your two thousand, five hundred and five tickets?” I asked my son with great anticipation because that’s no typo he really did save up 2505 tickets and it took him 4 years! It’s times like that when I am just flabbergasted that he’s my child. Because if you give me the means to shop, I will shop. “I don’t have it. I gave it to Grandma.” he said plainly and ran off. First, let’s begin with the fact that Grandma is the best grandma in the world. She is giving, loving, caring, selfless… the list goes on and on, but lets also just briefly say Grandma is not the kind of person you want to give your 2505 ticket stub to in the middle of blaring, loud, kids running all over the place, Chuck E. Cheese and not realize that Grandma just might accidentally throw away or misplace the ticket stub you have been holding onto for FOUR YEARS! Immediately I called Grandma and the fear instantly became a reality because she had no ticket. She said Matthew had it. He said, he saw her put it in her purse. She said she saw him put it in his wallet… she said and he said until tiny beads of sweat started forming on my forehead. After hanging up with a now panicked Grandma, Matthew and I started ransacking the house hoping that just maybe, somehow the ticket had made it home in his pocket and had fallen somewhere. I also called Grandma back and had her look through all her stuff, then I called Chuck E. Cheese and had them look through all their stuff and then I called the National guard ~well, I wanted to. Because all I kept thinking of was how totally bummed out my son would be if we couldn’t find the ticket he had been saving for so many years, faithfully, never spending it, all to have it gone just like that. Then came the voice of wisdom and it was my son walking up to me saying these words. I couldn’t believe what I was hearing. I was proud and stunned all at the same time. Proud, that he had actually been listening to the devotional and stunned because now he really wanted to apply to his life what God had taught him. It wasn’t easy at first because it’s really hard to do a 180 when you are that emotionally charged. But he was right and I knew I had to support my son in what God was calling him to do and what God was calling me to do. So we prayed together. And as I prayed for his care, I threw in one of mine that I had been holding on to since the morning ~ because by now I knew that this lesson wasn’t just for him, it was for me too. A couple hours later Grandma called, and before I could even finish saying hello, she ecstatically shouted “Guess what? Guess what?” To tell you the truth, hours after having launched our cares away, I had no idea what she was talking about. But as God would have it…. She found the ticket! And you will never believe where it was. She found it in her purse, tucked away between the pages of her promise book, the one she carries with her everywhere she goes. There nestled between all of the promises of God, was the care that my son had cast away. So you won’t believe what happened to me at Costco. To be more specific, standing in line to get a hot dog at Costco. Remember that scene in “It’s A Wonderful Life” where George Bailey gets rescued from bankruptcy? When his community and friends rally around him and give him the money to save his life. Remember that touching moment? Okay, so hold that thought. Hold it. Hold it. It was one of those days. Those days where everything that could go wrong was going wrong and in order to keep it together I just kept muttering, “I may be hard pressed but I am not crushed.” over and over, again. On this not so great day my mom, having perfect timing, came over and deciding to make things just a little better pronounced we should hop over to Costco where she could treat me to lunch and a little shopping. Hebrew National hot dogs, smothered in ketchup, mustard, and relish, accompanied by a diet coke, in my world equals a bit of happiness. Yes folks, sometimes that’s all it takes. So there we were, my mom and I waiting patiently in line as I was getting really excited because my turn to bite into a hot dog was approaching very quickly. Finally we were up and we placed our order. The grand total came out to $3.28, my mom pulled out her debit card and before you knew it all heck broke loose. “We don’t accept debit cards M’am.”, the cashier said with a smile. My smile on the other hand completely evaporated. Because I knew two things. 1. My mom had zero cash and neither did I. 2. My mom freaks out and gets embarrassed easily and I knew “flusterville” was right around the corner. “What do you mean you don’t accept debit cards, you can’t be serious, that’s all I have and…” her breathing was starting to become a bit labored. “I am as serious as a heart attack lady.” he said, still smiling. Important note here: My mom was born and raised in Peru and some sayings she just doesn’t understand. “What do you mean a heart attack, Huh? What Gerita? What is he saying? Oh my gosh, let me see how much change I have, Oh my gosh!” Her voice was cracking. And with one frantic move she pulled out her coin purse and out spilled all of her change onto the counter. Which mostly consisted of pennies and a few dimes. All of a sudden I was in “It’s A Wonderful Life” and all these strangers began happily pitching in and within minutes and a few quarters and dimes later, we made it to 3 bucks! Without missing a beat, the still surprisingly happy cashier said he would put in the last .38¢ , completing what we owed. This proverb came alive to me on that one Costco day. Many times we are going to find ourselves with the ability, the power, to do good for someone else. It could be making an encouraging phone call, offering someone a ride, helping someone who is lost, visiting someone in the hospital or something as simple as donating a quarter to some strange girl and her mom so they can eat a hot dog at Costco. and praise out of our despair. who would one day save us from sin and death. that we were never meant to bear. There is no one out there who holds that one sin that your death did not cover. Nor lived a life so clean that your blood was not for them. you were crucified for all of us. but for here on this earth. and be called the righteousness of God. Jesus has been waiting for you. And He will be there for you……. I think her name was Gwen. She was a nice woman, with a strong robust voice, and a southern accent. And at 10:00 yesterday morning I was yelling at her. Well maybe yell is to strong a word (I guess that depends on who you ask). Let’s just say I was raising my voice at her because the gifts I ordered for my mom and nieces online for Christmas had still not arrived on my doorstep, as promised. Christmas by the way was on the 25th and it was now the 28th! Now when I got on the phone my plan was to speak directly to the supervisor. But “Bless her heart Gwen” wouldn’t let me. She insisted I tell her the problem first. That automatically put me in a bad mood. I wanted to speak to a supervisor, I wanted answers, I wanted a refund of some kind, I wanted heads to rollllllllll. Clearly I was no longer being led by the spirit. But even in my snippy tirade over retribution of some kind, the feeling that I was being mean to a lady I had never met in my life was starting to bother me. I did not know anything about her but she was starting to get some ideas about me. And I don’t think they were pretty. I am not saying that because we are Christians we are perfect. We are not. We are going to mess up. We cant achieve perfection in these bodies but we can achieve the ability in Christ to open up our mouth and say sorry when we do blow it. I had already failed at the showing love part so I knew I was now in the area of somehow apologizing (Ephesians 4:31, 32). And I knew God was telling me I better do it before I got off the phone. The other thought God was pressing on me was what if I ever met Gwen, like in real life. (That happened to me this year at a Christmas party. I ended up talking to a woman who had randomly helped me find a dress in a department store about a year ago). There I would be meeting Gwen, she might be in her Kohls t-shirt and I would be in my I love Jesus t-shirt. And I think she might be a little shocked to see that I knew Jesus at all. And what about after this world. I often imagine what it might be like in heaven. I suppose since it is eternity we are going to have a lot of time. First we will meet God and spend time with Him (after we can pry ourselves away from Him), then we will see our loved ones and spend more time with them. Sooner or later we are going to get around to seeing who else is up there. I very well could bump into Gwen. We never know who we are speaking to in this world, when we encounter the postman, the store clerk, the pharmacist, the person on the the other side of the phone. The bible even says that the stranger we are encountering today could even be an angel (Hebrews 13:2)! And with that we said goodbye and wished each other a good day. I was smiling once again and I think she was too. I just got back from a short trip with the family and I have to say that even though we had some great moments and lots of fun there was somewhat of a battle going on inside of me. I had to work really hard at times to keep my joy. As I was unpacking tonight and talking to God it hit me that maybe the problem I was having came down to not being very thankful. As I began pondering that thought and realizing the truth of it I remembered my dear friend had left a gift for me on my front porch while I was gone. When I opened the door this is what I saw. Wow!!!!! When God shows up He really shows up. He is so near and just waiting for you to open the door ( literally sometimes) that He may come in and speak straight to you. As I flipped through the book I landed on this page and it is so PERFECT for thanksgiving. May it penetrate your heart. With all my love. Geri. If we take it all for granted, if we think life just shows up with this stuff already in place,if we trick ourselves into believing that everyday household items come from the grocery rather than from a gracious God, we walk right past countless reasons for worship without even knowing it. Two weeks ago I had a noodle in my shoe. Maybe I should rewind a bit before I get into that. 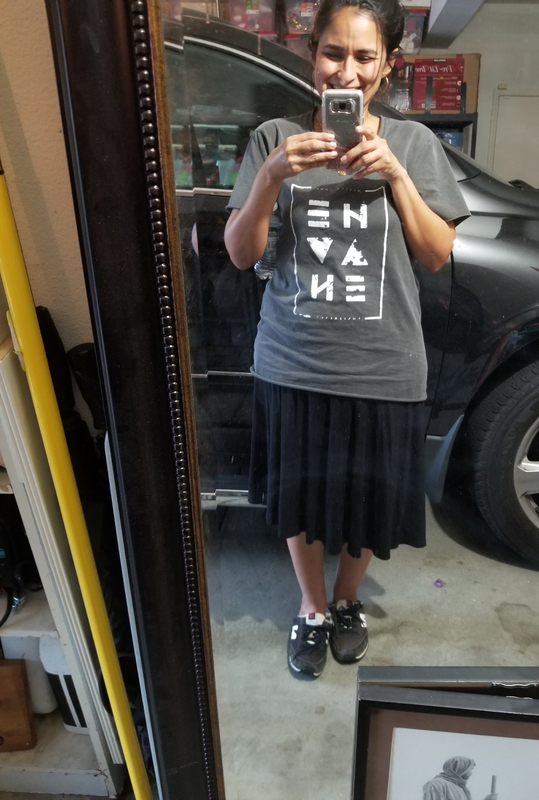 It was Wednesday evening and I was frantically running around the house trying to frost 24 pink cupcakes, take care of homework, and get myself ready so I could leave to church to help set up for our monthly women’s event. I was supposed to be there at five, and it was five, but I was still home. Once my husband showed up, he took the kids and they headed out for dinner. Like a bobcat, I ran up the stairs and loaded myself up with 12 cupcakes on each arm. Then I ran back down the stairs and carefully placed them in the car, ran back up stairs, got the giveaways for the night, a bowl of leftover spaghetti (dinner for the night), my purse, and carefully flew down the stairs thanking God for each step that I took without falling down. 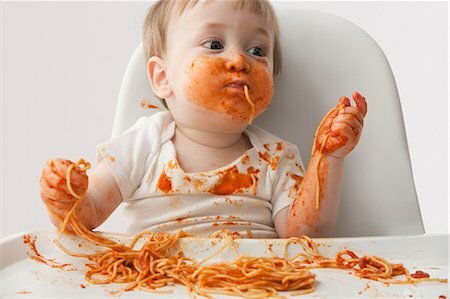 Huffing and puffing, (half from anxiety and half from being severely out of shape) I jumped into the car, put my seat belt on, rested the bowl of spaghetti on the console and took off. It was somewhere between reciting some scripture on peace and praying for green lights that IT happened. Somehow, (I’m still not sure what I did) my elbow must have come down on the side of the bowl, flipping it over and landing spaghetti all over the car and me. Instantly everything became silent. The panic that I had been experiencing about being late came to a halt and I couldn’t even hear the cars racing by me anymore. All I could hear was my heart beating. What had happened? I was praying, I had my sword up. 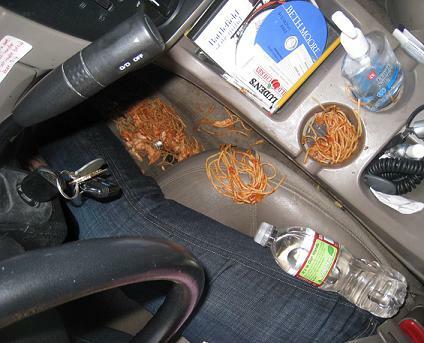 Why in the world did I have spaghetti all over the seat, the cup holders, and was that a noodle in my shoe?! I was already late and now I was going to be dreadfully late. For a split second I thought I was going to crack. Of course this illustration is simplistic for this verse because most tribulations are not usually that trivial. Sometimes the tribulation is like an earthquake shaking your life hard, leaving you dumbfounded. 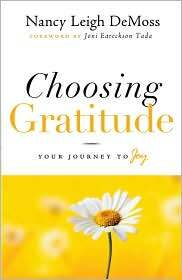 Sickness, loss of loved one, struggles in your marriage, financial problems, the list goes on. And when you’re in the middle of it, its hard to see if you will have any peace. When trouble comes these are some of the truths I hold on to. When times are tough just running these verses off in my head will do nothing. It’s when I take time to meditate on each word, letting the truth really sink in and take over that I begin to believe. Then the transformation begins, hope arises, and my heart starts to change. It’s not always easy but it always works. It’s true His word has the power to change you. Finally remember this, trouble is not around every corner but when it does come knocking remember God told you these times would come. But He also told you, He has overcome the world. There’s a sound I’ve come to know, that always brings a smile. ♫Ding a ling ling ling.♫ That’s the sound my phone makes when I have a new text. I just recently came into the texting world (yes, I was living in a cave) and I can’t tell you how much fun I have been having! From one of my texting sessions comes this story. It was Monday afternoon, the day before I was about to LEAD my first ever (I didn’t ask to do this, I think I might pass out while I’m doing it) Bible study. Truth be told, I was having trouble staying in the mentality that “I can do all things through Christ”. I was going in and out of faith so much I was afraid I would get permanently stuck out of faith. My husband noticed I was a little blue and being a sweetie offered to take me to lunch at my favorite Italian restaurant. A restaurant where the hot garlic bread drips with butter, the antipasto salad is loaded with pepperonis, salami, crisp iceberg lettuce, Italian dressing drizzled all over and the spaghetti and meatballs are to die for. When the meal was over, it hadn’t made a dent in lifting my spirit. I knew then I was in need of some serious help. As we drove back home, the sound I’ve come to love came through. It was my dear friend and she was texting me some encouragement. As I read the text a smile emerged but inside the knot in my stomach still remained. The Word. It began to soften the knot but the feeling of doubt lingered. I wished I could just stop doubting that I could do this. And with those words God broke through. Tears started welling up in my eyes and the truth began to flow. If my friend could still love me no matter what happened tomorrow, then surely my Father could. Even if I messed up the prayer, forgot scripture, or had a plain old panic attack right in the middle of the group, my Father would still love me because no matter what, I was willing to step out in faith for Him into a place that made my heart race. I began thinking of the process that had just occurred to bring my break through. First, my friend had given me words of hope- and it helped. Then, she gave me the Word (faith) and that helped a little more. But, then she gave me love. It was love that put it all into perspective and let truth come in. Love is the greatest and it never fails. So the next time you find yourself with a loved one who is hurting, scared, or confused. Pray for them, yes, speak the Word to them, absolutely. But above all, LOVE THEM. Because in doing so you will have chosen the greatest and it’s power is beyond what you can imagine.